A long romantic veil can add to the romantic vibe of your wedding. 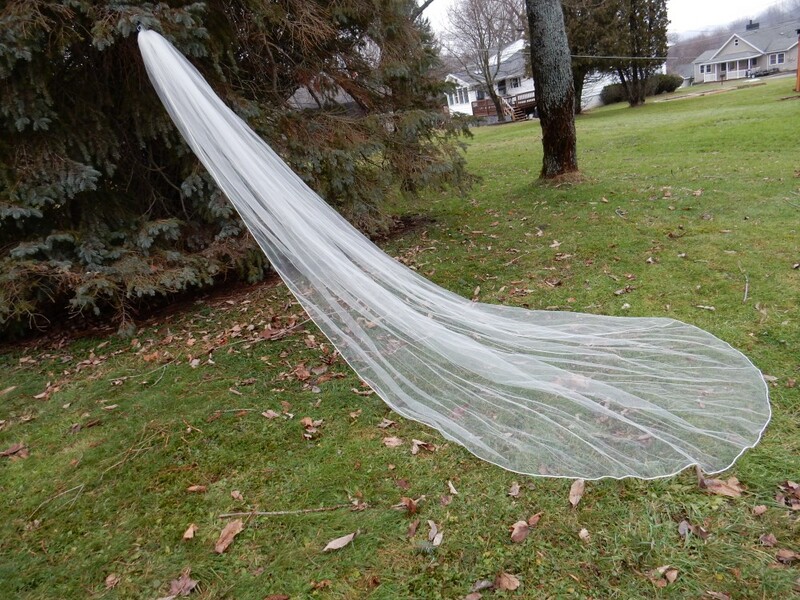 Made of 12 feet of soft bridal illusion and a satin cord edge this long romantic veil did just that. The bride came to me with an idea of what she wanted. Pictures from previous brides helped her confirm the details. You can view them too Royal Long Romantic Veils and Cathedral Long Romantic Veils. Be sure to look at her picture here! Our Veil Samples helped too because pictures do not show everything. She originally wanted a ribbon edge, but changed to a satin cord edge after seeing and feeling the samples in person. She was also concerned about the softness of the bridal illusion we use because some veils are made of a stiffer tulle while ours is soft. Our samples are a great way to experience our exact colors and textures to make the best veil for you. 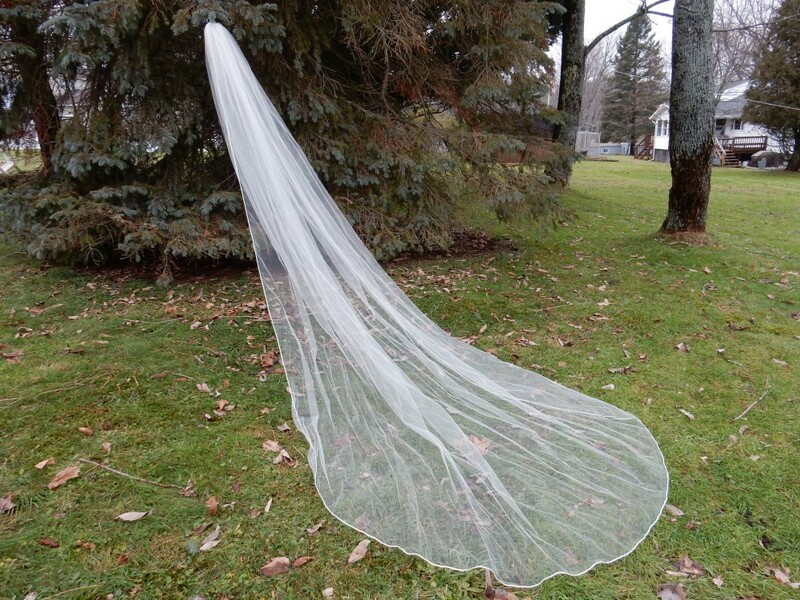 Order your Long Romantic Veil here! She chose the metal comb because it works well with thick curly hair. You can see all the attachment options here. Check with your hairdresser or let me know if you need help deciding. My custom made veils are usually ready to ship in 2 weeks. It’s a great idea to coordinate an upcoming dress fitting like this bride did, so you can try on your dress with the veil. 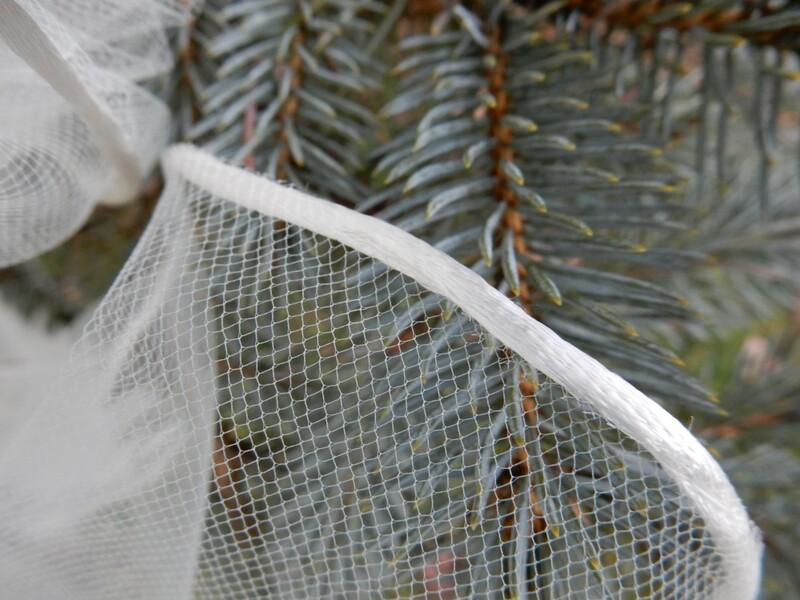 See what our bride had to say: Long Romantic Veil Review!